Seriously, right? Percy is one gorgeous boy but he is still humble. He Was born on 4/9/2017 and is a male Border Collie mix who is looking for a quiet home without lots of comings and goings. 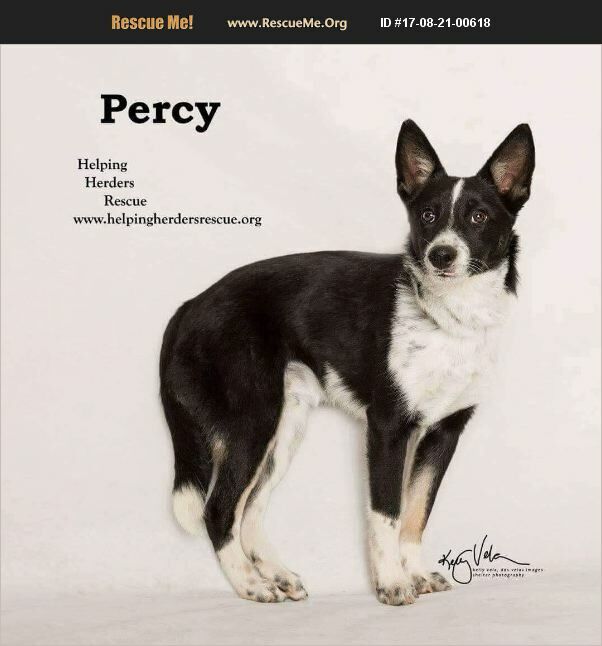 Percys mom is a Border Collie mix who was running loose and came into rescue pregnant. We do not have any idea who the father is, but does it matter? This boy is such a nice boy. Percy is nice with other dogs and slowly warms up to people. He really loves his brother, Gemini, and would love to be adopted with his brother. If not, he must have another dog as a pal in his new home. This vet shy guy would be a nice addition for someone who wants a companion for their own pet and will give him plenty of time to settle in. He is neutered, up to date on vaccinations, and ready to meet there might home in SoCal. A home visit and vet reference are required.